Crooked teeth have the potential to lead to a number of oral health problems, including tooth decay, gum disease, and an overall wearing down and weakening of the teeth. Add to that the aesthetic impact that crooked, misaligned teeth have on the smile, and it is easy to see why so many people are eager to straighten their teeth. Dr. Jean E. Barthman offers Invisalign® invisible braces, a discreet and convenient teeth straightening option. In as little as nine months, patients can get straighter teeth and a healthier, more beautiful smile. Here, we discuss the typical Invisalign® treatment timeline, along with what our Redwood City, CA patients can expect throughout the process. The first step of any patient’s Invisalign® treatment timeline is determining whether or not they are actually ideal candidates for this procedure. In most cases, the answer is “yes.” Invisalign® addresses many of the same problems as traditional orthodontic treatments, including crooked teeth, gapped teeth, overcrowded teeth, overbite, or underbite. Dr. Barthman will examine the patient’s teeth at the initial treatment consultation to determine if the patient can get the results they are looking for from Invisalign® treatment. If the patient is a good candidate, he or she can continue to the next stage of treatment. Each Invisalign® treatment plan should accommodate the patient’s unique needs to, ultimately, provide them with straight, even teeth. To ensure that each patient’s needs are addressed, Dr. Barthman will take digital images of the teeth and mouth, as well as a mold of the teeth. In addition, our computer software allows us to show patients before and after images of their teeth, so that they know what they can expect from treatment. When this appointment is complete, Dr. Barthman will send the molds and information regarding the treatment plan to an Invisalign® laboratory, where the patient’s custom set of Invisalign® aligners will be fabricated. Within a few weeks after the treatment plan is created, patients can expect to receive their personalized aligners. An appointment will be scheduled to discuss how often the aligners should be worn, and how often they should be changed. Each patient is different, but, on average, a patient can expect to progress through 18 to 30 sets of aligners throughout the duration of treatment. Each aligner is worn for two weeks. Patients can remove the aligners for eating, drinking, brushing, and flossing, but it is important that they are worn for a minimum of 20 to 22 hours each day. Once patients have progressed through the complete series of Invisalign® aligners, they will benefit from straight teeth that are easier to care for, and a smile that is more attractive. Each treatment timeline differs, and will be dependent on the number of Invisalign® aligners that are needed to address the patient’s unique needs. However, most patients can expect to enjoy the full results of Invisalign® treatment within 15 months. 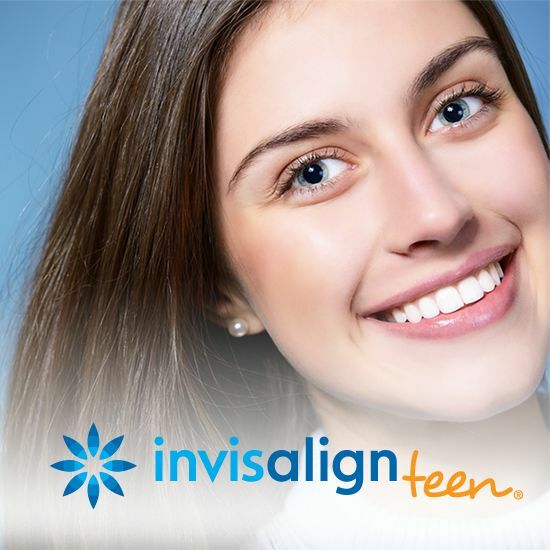 Invisalign® offers patients a straighter, healthier, and more beautiful smile, all with conveniences that patients can’t expect from traditional braces. If you’d like to learn if you are an ideal candidate for this exceptional teeth straightening treatment, schedule an appointment with Dr. Jean E. Barthman at your earliest convenience.